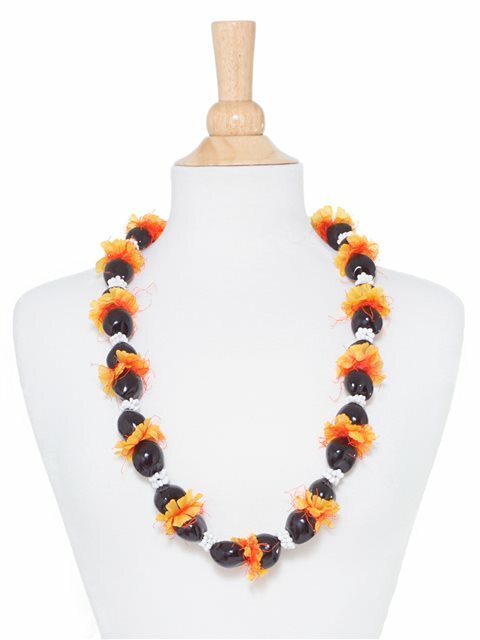 This kukui nut lei is made with the combination of glossy-black kukui nuts, faux ilima leaves, and braided white mongo shells into a single beautiful lei. Bought these for high school graduation for money lei gift. He loved them.